No stallion has dominated a single weekend as Silvano has done. In the space of 24 hours, our champion sired three Classic winners on two different race courses, and a champion son made a triumphant return to action. For the second time in history, our champion sired the winners of both the Gr.1 SA Derby and Gr.2 SA Oaks, a feat he first achieved in 2008 when Kings Gambit and Happy Spirit notched up the Classic double. On Saturday, 6 May, Al Sahem and Wind Chill repeated the honours. Runner-up in the first two legs of the Triple Crown, Al Sahem made light work of the Derby, adding his name to an illustrious honours roll of previous winners. Sheikh Mohammed bin Khalifa Al Maktoum’s own-bred colt showed his true ability when he took the lead fully two furlongs out, and powered home to prove his superiority by the best part of two lengths over Derby Trial winner Pagoda and SA Classic hero Heavenly Blue. Trained by Sean Tarry, Al Sahem is Silvano’s 20th SA-bred Gr.1 winner. The colt is is bred on the same Silvano x Al Mufti cross as champions Bold Silvano and King’s Gambit. Mayfair Speculators’ Wind Chill progressed from a second in the Oaks Trial, to lead home a Silvano one-two in the Oaks proper. Joe Soma’s charge smoothly moved through her field under Anton Marcus to strike the front at the furlong mark and win with the minimum of fuss from paternal half-sister Oriental Oak. Barely 24 hours later, Silvano’s progeny dominated two of the three Gr.2 features offered at Greyville. The Mike de Kock/Sheikh Hamdan axis, fresh off a Gr.1 double at the previous day’s Turfontein meeting, tasted Classic success when Maine Chance-bred three-year-old Janoobi made all in the Gr.2 Daisy Guineas, the race won by our young sire Vercingetorix in 2013. Janoobi led from the jump and was never headed, coming home almost two lengths clear of his field. He is now a dual Guineas winner, having defeated Al Sahem in the Gr.2 Gauteng Guineas. Janoobi is out of Shasta Daisy (Rakeen), one of a number of stakes producing daughters of the excellent broodmare and champion race filly Scented Royal. 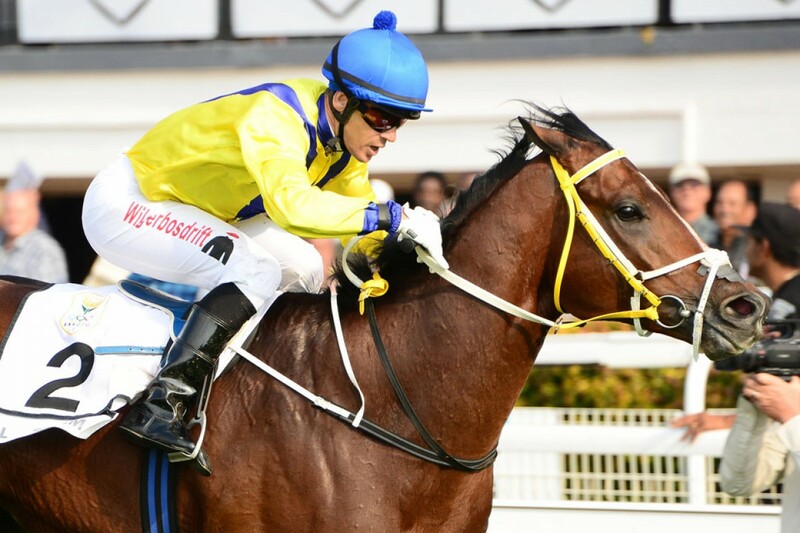 Last season’s champion three-year-old Marinaresco, owned by M W Bass, F Green, Bryn Ressell & N M Shirtliff, rounded off his sire’s Greyville double with a gutsy head victory in the Gr.2 Drill Hall Stakes over 1400m. Unraced since January, the Bass/Robinson-trained champion unleashed his remarkable turn of foot to get up on the line in a thrilling three-way, head-bobbing contest. This was a splendid pipe-opener over a distance far short of his best, and with bigger fish to fry, the four-year-old looks set for another fruitful KZN winter campaign.